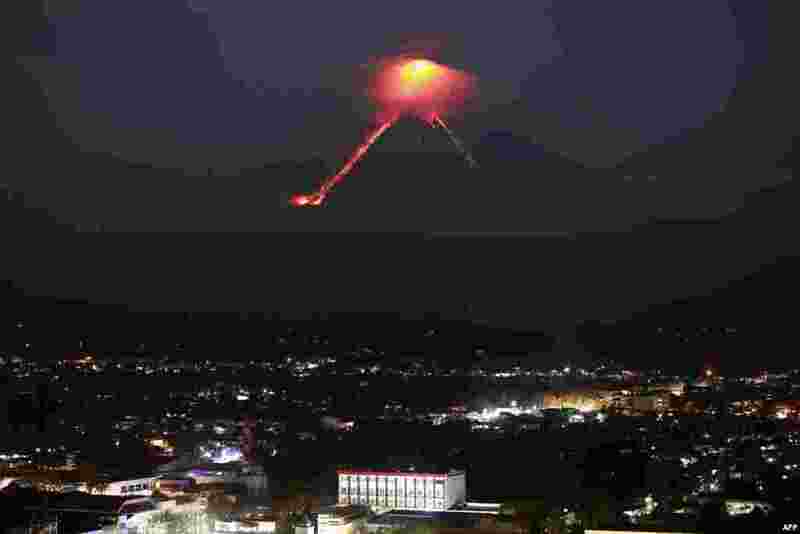 ١ Lava from Mayon volcano is seen as it erupts in Legazpi. The Philippines raised the alert level for the country's most active volcano twice in 24 hours, meaning that a hazardous eruption is possible within days. 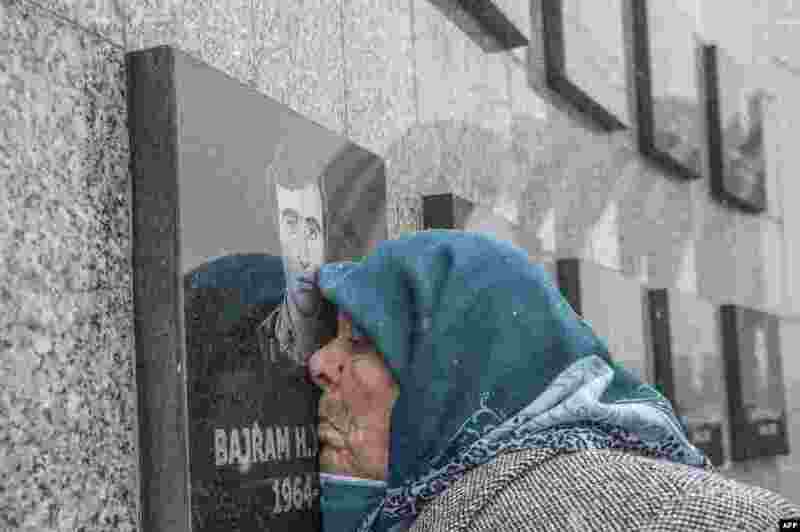 ٢ A Kosovo Albanian woman Vezire Gjeladini, 76, kisses the picture of her son etched into a commemorative plaque and placed on a wall dedicated to the victims of the Racak massacre, Kosovo. In 1999, forty-five Albanian civilians were killed by Serb forces, in the village of Racak. 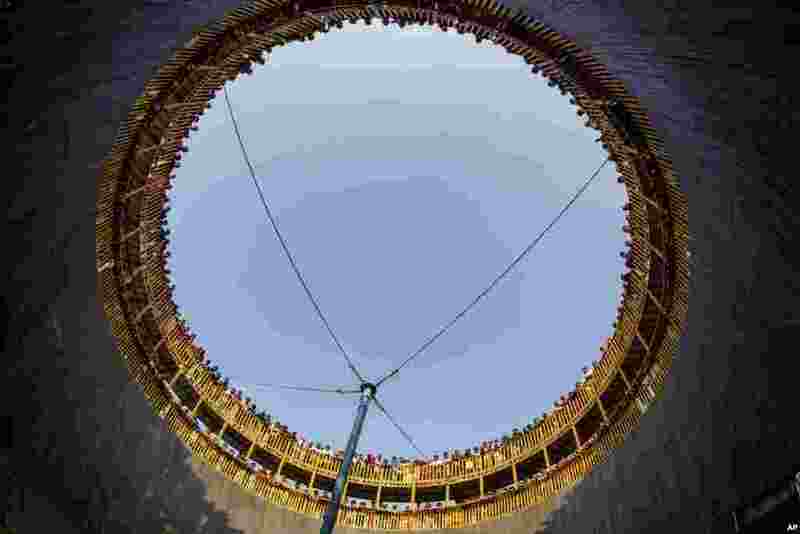 ٣ People watch Indian daredevils perform stunts in the well of death at Sangam, the confluence of the rivers Ganges, Yamuna and mythical Saraswati, in Allahabad, India. 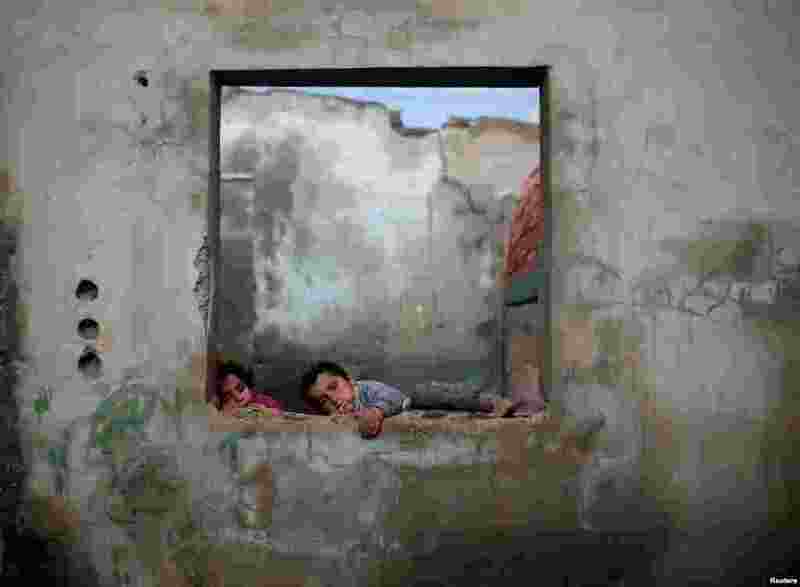 ٤ Palestinian children play at their family's house in Al-Shati refugee camp in Gaza City.